Abdul Alim Musa is an African American Islamist preacher and the imam of the Al Masjid Mosque in Washington, D.C.Ryan Mauro, “As-Sabiqun / Masjid al- Islam,” The Clarion Project, April 6, 2013, http://www.clarionproject.org/analysis/sabiqun-masjid-al-islam. He is a convert to Sunni Islam but has been publicly supportive of Shiite Iran,Nan Rubin, “Campus Profile: Amir Abdul Malik Ali,” Political Research Associates, accessed May 29, 2015, http://www.politicalresearch.org/campus-profile-amir-abdul-malik-ali/#sthash.oeXcyUw3.dpbs. as well as Iranian-backed terror groups Hamas and Hezbollah.“Imam Musa on Hannity,” YouTube Video, 00:57, Posted by “mjohnson202,” October 3, 2007, https://www.youtube.com/watch?v=1QdFyRsvnm0. Among other extremist beliefs, Alim Musa holds that Zionist American proxies blew up the World Trade Center, Palestinian suicide bombers are “heroes,” and that the U.S. government introduced heroin to U.S. cities in the 1960s to undermine the “blacks’ rebellion.”Dan Morse, “Case Against Ex-Guard Brings Scrutiny of D.C. Imam,” Washington Post, September 19, 2007, http://www.washingtonpost.com/wp-dyn/content/article/2007/09/18/AR2007091802154.html. In 2009, the U.K. banned him from entering due to his “glorifying [of] terrorist violence in furtherance of his particular beliefs and seeking to provoke others to terrorist acts.”“Who is on UK 'least wanted' list?,” BBC News, May 5, 2009, http://news.bbc.co.uk/2/hi/uk_news/8033319.stm. Born in Arkansas in 1945, Alim Musa grew up in Oakland, CA. He became involved in the drug trade and operated briefly out of Colombia where he was arrested on charges of heroin smuggling. He was incarcerated at the U.S. Federal Penitentiary in Leavenworth, Kansas where, according to Musa, he converted to “traditional orthodox Islam.”Dan Morse, “Case Against Ex-Guard Brings Scrutiny of D.C. Imam,” Washington Post, September 19, 2007, http://www.washingtonpost.com/wp-dyn/content/article/2007/09/18/AR2007091802154.html. Today, Alim Musa directs As-Sabiqun (“the Vanguard”), from the Al Masjid Mosque.Nan Rubin, “Campus Profile: Amir Abdul Malik Ali,” Political Research Associates, accessed May 29, 2015, http://www.politicalresearch.org/campus-profile-amir-abdul-malik-ali/#sthash.oeXcyUw3.dpbs. As-Sabiqun is an American Muslim organization whose “current mission, inside and outside of the U.S. is to struggle to neutralize the efforts of the top three enemies of our global Ummah, which together constitute the Triangle of Terror, [the U.S., Israel, and Saudi Arabia].”“Imam Musa’s Upcoming ‘Eid Message,” As-Sabiqun Blog, August 17, 2012, http://sabiqundc.blogspot.com/2012/08/eid-mubarak.html. As-Sabiqun advocates for a global Islamic state under sharia (Islamic law) and seeks to abolish all “man-made” governance.“Sabiqun and Anti-Semitism on Campus,” Anti-Defamation League, September 11, 2009, http://archive.adl.org/main_anti_israel/sabiqun_anti-semitismc089.html#.VWhmbM9Viko. It has reportedly endorsed the Palestinian terrorist organization Hamas.“Masjid Al Islam,” The Clarion Project, April 6, 2013, http://www.clarionproject.org/category/tags/masjid-al-islam-0#_ftn1. As-Sabiqun reportedly seeks to become “one of the main suppliers of Islamic books, media, fragrances, and other products in the United States” and speak out “against the injustices perpetrated locally and globally by Zionists and imperialistic governments.” The organization reportedly operates branches in Los Angeles, San Diego, Sacramento, and Philadelphia, with its most active branches believed to be in Oakland, CA and Washington, D.C.Nan Rubin, “Campus Profile: Amir Abdul Malik Ali,” Political Research Associates, accessed May 29, 2015, http://www.politicalresearch.org/campus-profile-amir-abdul-malik-ali/#sthash.oeXcyUw3.dpbs; “Sabiqun and Anti-Semitism on Campus,” Anti-Defamation League, September 11, 2009, http://archive.adl.org/main_anti_israel/sabiqun_anti-semitismc089.html#.VWhmbM9Viko. According to his biography on the As-Sabiqun website, Alim Musa has been inspired by the writings of Abul Ala Maududi (an Indian Islamist revivalist and founder of Jamaat-e-Islami), Hassan al-Banna (founder of the Muslim Brotherhood), Sayyid Qutb (the Muslim Brotherhood ideologue and inspiration to numerous modern terror groups), and Ruhollah Khomeini (founder of the Islamic Republic of Iran).”“Imam Musa’s Upcoming ‘Eid Message,” As-Sabiqun Blog, August 17, 2012, http://sabiqundc.blogspot.com/2012/08/eid-mubarak.html. Musa’s Al Masjid Mosque in D.C. houses a branch office of the Islamic Institute for Counter Zionist American Psychological Warfare,“Imam Musa’s Upcoming ‘Eid Message,” As-Sabiqun Blog, August 17, 2012, http://sabiqundc.blogspot.com/2012/08/eid-mubarak.html. an institute established to “monitor Zionist and Israeli networks, circles, and clubs which deceitfully infiltrate Muslim and Black groups.”“Sabiqun and Anti-Semitism on Campus,” Anti-Defamation League, September 11, 2009, http://archive.adl.org/main_anti_israel/sabiqun_anti-semitismc089.html#.VWhmbM9Viko. In addition, Alim Musa is reportedly a “senior” member of the Institute of Contemporary Islamic Thought (ICIT), reportedly a transnational pro-Iranian pro-Hezbollah think tank.“Sabiqun and Anti-Semitism on Campus,” Anti-Defamation League, September 11, 2009, http://archive.adl.org/main_anti_israel/sabiqun_anti-semitismc089.html#.VWhmbM9Viko. Abdul Alim Musa has reportedly participated in events held by mainstream American Muslim organizations such as the Council on American-Islamic Relations (CAIR), the Muslim American Society (MAS), the Islamic Circle of North America (ICNA), and the Islamic Society of North America (ISNA).“Sabiqun and Anti-Semitism on Campus,” Anti-Defamation League, September 11, 2009, http://archive.adl.org/main_anti_israel/sabiqun_anti-semitismc089.html#.VWhmbM9Viko. He is reportedly “particularly popular” with the Muslim Student Union at the University of California, Irvine.“Sabiqun and Anti-Semitism on Campus,” Anti-Defamation League, September 11, 2009, http://archive.adl.org/main_anti_israel/sabiqun_anti-semitismc089.html#.VWhmbM9Viko. Abdul Ali Musa“UK 'least wanted' list published,” BBC News, May 5, 2009, http://news.bbc.co.uk/2/hi/uk_news/8033060.stm. Place of Birth Arkansas, U.S.
Place of Residence Washington, D.C.
“[The U.S., Israel, and Saudi Arabia must be held accountable for ISIS because] they created these groups from very beginning.”“US, allies must be held accountable for ISIL terrorism: Analyst,” Press TV, January 9, 2015, http://www.presstv.ir/Detail/2015/01/09/392314/US-allies-to-blame-for-ISIL-atrocities. 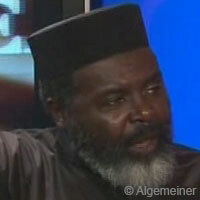 Abdul Alim Musa: “We have to have serious unity. The Muslims have to focus on affecting the direction of change. They are frightening the Muslims and the Muslims are too afraid to speak out for themselves. Those of us who speak out become an automatic target. But we have to speak out all together [sic] and we have to challenge our oppression. If we don’t challenge our oppression, then they’ll keep on doing it. We want to thank all the people of the Islamic Republic for supporting us here in America, and we thank you Press TV.” (Interview with the Iranian state-owned news outlet Press TV)“Muslim unity challenges US oppression: Abdul Alim Musa,” Press TV, August 16, 2014, http://presstv.com/detail/2014/08/16/375544/muslim-unity-challenges-us-oppression/. “We view Islamophobia from the position of what we call the ‘Triangle of Terror.’ The Triangle of Terror in the world today relates to, number one, the United States’ government. When the triangle wants to invade our countries, like Iraq or Afghanistan, in a military way, it’s done by the United States of America. Number two is the Zionist state of Israel and its media outlets all over the world; that is ‘image management,’ that is ‘perception management.’ It is the Zionists giving a picture of Islam and Muslims that justifies the invasion by the United States of Muslim peoples. And number three is Saudi Arabia. Saudi Arabia is the inter-fitna initiator amongst the Muslims. Whether we have bombings and killings of Shia centers in Iraq; whether we have the support of murderous, barbarous Takfiri forces in Syria fighting against the government; where there is bombings in Pakistan; where there is websites; where there is Saudi Arabian support of the regime in Bahrain.” (Interview with the Iranian state-owned news outlet Press TV)“‘Triangle of Terror’ spreads Islamophobia - mosque imam,” Panorama Am, May 29, 2014, http://www.panorama.am/en/interviews/2014/05/29/abdul-alim-musa/. “The whole Western world is out against Islam.”“Sabiqun and Anti-Semitism on Campus,” Anti-Defamation League, September 11, 2009, http://archive.adl.org/main_anti_israel/sabiqun_anti-semitismc089.html#.VWhmbM9Viko. “If you go back for the last 20 years, from the first World Trade Center bombing in ‘93... This is our view, from those who... We said it then, and we say it now, and this is the belief in the Muslim world: 90% of the bombing plots- or this plot or that plot- we believe is done by and with the help and the aid of Mossad, and the United States government. This is our experience.” (Television debate between Alim Musa and George Mason University Professor Jack Goldstone, aired on Iranian state-owned Press TV)“Washington DC Imam Abdul Alim Musa: Attempted Christmas Day Plane Bombing - the Work of US Government and the Mossad,” MEMRI, January 5, 2010, http://www.memritv.org/clip_transcript/en/2326.htm. In reference to the perpetrator of the Christmas Day Bombing: “We believe that whoever this guy is from Nigeria - we don't believe he has any ties with Islam. If you talk about the World Trade Center bombing – all of these things are done... I can give you two quick reasons, and it will solve the problem. Number one - to blame these things on Muslims. You get the Patriot Act, you get the anti-terrorism bill, you get a right to what they call stop, put a freeze, on the global Islamic movement, which has been spreading, growing, and developing. You get a chance to launch missiles, to kill, and to put a freeze on the Islamic movement. But the Islamic movement is only the first target. (Television debate between Alim Musa and George Mason University Professor Jack Goldstone, aired on Iranian state-owned Press TV)“Washington DC Imam Abdul Alim Musa: Attempted Christmas Day Plane Bombing - the Work of US Government and the Mossad,” MEMRI, January 5, 2010, http://www.memritv.org/clip_transcript/en/2326.htm. Abdul Alim Musa: “In order to control them.” (Television debate between Alim Musa and George Mason University Professor Jack Goldstone, aired on Iranian state-owned Press TV)“Washington DC Imam Abdul Alim Musa: Attempted Christmas Day Plane Bombing - the Work of US Government and the Mossad,” MEMRI, January 5, 2010, http://www.memritv.org/clip_transcript/en/2326.htm. “Who ran the slave trade…who funded [it]? You'll study and you will find out: the Jews…It was the Jewish bankers…in Vienna, with pockets full of money, funding and insuring, that’s who did it…you can't tell us about no holocaust. Between the African Americans and the Native Americans, everybody else’s stuff was small potatoes.” (Speaking to the Muslim Student Association at the University of California, Irvine)“Sabiqun and Anti-Semitism on Campus,” Anti-Defamation League, September 11, 2009, http://archive.adl.org/main_anti_israel/sabiqun_anti-semitismc089.html#.VWhmbM9Viko. “Hezbollah is a great movement and a great organization.” (Speaking on Hannity, Fox News)“Imam Musa on Hannity,” YouTube Video, 00:57, Posted by “mjohnson202,” October 3, 2007, https://www.youtube.com/watch?v=1QdFyRsvnm0. “Hamas just means enthusiasm. I know Hamas. They are nice people, very nice people.”(Speaking on Hannity, Fox News)“Imam Musa on Hannity,” YouTube Video, 00:57, Posted by “mjohnson202,” October 3, 2007, https://www.youtube.com/watch?v=1QdFyRsvnm0. “The American ship is going down. And it’s clowns like that that’s driving it down. We don’t have to do nothing. Just step back, pray, fast, do good deeds, and stuff like that. And let that guy go…When he finishes, nobody will love, nobody will trust, and nobody will believe anything coming from the United States of America.”Dan Morse, “Case Against Ex-Guard Brings Scrutiny of D.C. Imam,” Washington Post, September 19, 2007, http://www.washingtonpost.com/wp-dyn/content/article/2007/09/18/AR2007091802154.html. Asserting that 9/11 was a conspiracy perpetrated by the Americans: “We got to get rid of this new Hitler…Just like Hitler burned the Reichstag…to gain full power over the people…George Bush brings down the World Trade Center, blames it on us [Muslims] and then claims himself dictator over the world. So we're here to say it's all over for George.”“Sabiqun and Anti-Semitism on Campus,” Anti-Defamation League, September 11, 2009, http://archive.adl.org/main_anti_israel/sabiqun_anti-semitismc089.html#.VWhmbM9Viko. “When 9/11 happened, the only people who understood it really was Black people. They know that when you have an election-stealing president that has no credibility, he needs something to make him presidential. If you remember before 9/11, the big conference they held in Durban, South Africa, Black people was [sic] attuned to Zionism is racism- we know that as a people. Amerikkka (original spelling) needed something to take them off of the most-hated list, but it never worked.” (Interview in the San Francisco Bay View)“Sabiqun and Anti-Semitism on Campus,” Anti-Defamation League, September 11, 2009, http://archive.adl.org/main_anti_israel/sabiqun_anti-semitismc089.html#.VWhmbM9Viko. In reference to the U.S.: “the united forces of kufr [non-believers]…the criminal constitutional dictatorship of the USA.” (Al-Sabiqun newsletter)“Sabiqun and Anti-Semitism on Campus,” Anti-Defamation League, September 11, 2009, http://archive.adl.org/main_anti_israel/sabiqun_anti-semitismc089.html#.VWhmbM9Viko. Paraphrasing Jamil Al-Amin a.k.a. H. Rap Brown, prominent Black Panther and convert to Islam: “If you don't stay out of our way and leave us alone, we're going to burn America down.” (Speech at University of California, Irvine)Dan Morse, “Case Against Ex-Guard Brings Scrutiny of D.C. Imam,” Washington Post, September 19, 2007, http://www.washingtonpost.com/wp-dyn/content/article/2007/09/18/AR2007091802154.html. “Islam went everywhere in the [ancient] world…so why can't Islam take over America…We are on the right road.” (Speaking at an event organization by Jamaat al-Muslimeen in Baltimore)“Sabiqun and Anti-Semitism on Campus,” Anti-Defamation League, September 11, 2009, http://archive.adl.org/main_anti_israel/sabiqun_anti-semitismc089.html#.VWhmbM9Viko. In reference to holding up a check made out to “Hamas, Palestine” at a rally in 1999: “I would love to have a case in court with the FBI. I would love for them to arrest me on any trumped-up charges. I tried to get a case several years ago. We had a demonstration. I waved a check for Hamas, cashier’s check, by the way. And I said, ‘I’m donating this to Hamas.’ Then I waited for them to arrest me. They didn’t arrest me. So I put the thing back in the bank.”Dan Morse, “Case Against Ex-Guard Brings Scrutiny of D.C. Imam,” Washington Post, September 19, 2007, http://www.washingtonpost.com/wp-dyn/content/article/2007/09/18/AR2007091802154.html. “Yahuds [Jews] are the enemies of humanity.” (Speech to the Associated Students of the University of Washington and the Black Students Commission)Benjamin Ginsberg, The Fatal Embrace: Jews and the State (University of Chicago Press, 1999), 164.